Editor's note : Suntech (NYSE: STP) was the world's number-one solar manufacturer in 2010 and rode a subsidy-led boom to the top. Founder and CEO, Dr. Zhengrong Shi, was hailed as an entrepreneurial beacon in China's manufacturing sector. Now, amidst a difficult debt situation and allegations of financial impropriety, Dr. Shi is stepping down as CEO. Dr. Shi will serve as Executive Chairman and Chief Strategy Officer. Eleven years. I’ve been told that Fortune 500 CEOs serve an average 3.5 years before changing roles, so in that sense my transition from managing Suntech’s day-to-day operations is overdue; I served three tenures! But eleven years at Suntech isn’t like eleven years at most companies. In that time, we grew our manufacturing operations from one employee to 15,000; from 10 megawatts to over 2,000 megawatts of production capacity; from $10 million to $3 billion in annual revenue; and from serving customers in one market to dozens. We had to accomplish in a decade what many told me would take a century. Some believe that we grew too fast; and certainly, you can’t achieve what Suntech has achieved without some growing pains. But the world couldn’t afford to wait a hundred years to solve our planet’s energy and environmental crisis. That urgency only rises with global temperatures and sea levels -- anyone who doesn’t take global warming seriously isn’t paying attention. Over the last several months, global oversupply conditions for cell and module manufacturers have driven a number of high-profile bankruptcies, and manufacturers are struggling to maintain profitability. Do not despair. This is a necessary rite of passage for our maturing industry, and one that we’ve seen in dozens of other global industries like consumer electronics and automobiles. In 1915, for example, there were about 350 U.S. manufacturers of automobiles that produced less than 1,000,000 automobiles per year. By 1975, there were only about a dozen U.S. manufacturers, but they produced about 10,000,000 automobiles per year. I believe the same thing will happen in solar. By 2030, there will be fewer than a dozen significant PV manufacturers, and by then we’ll be talking about terawatts instead of gigawatts. As the world’s largest producer of solar panels, with more than 7 gigawatts deployed in more than 80 countries, Suntech has an incredible platform to chart our future growth. Of course, Suntech faces many of the same headwinds that challenge all PV manufacturers, as solar manufacturing stocks have suffered due to the unprecedented supply imbalance. This isn’t a U.S., EU or China specific phenomenon -- it’s a global industry challenge that many other global industries before solar have overcome. In this climate, financial and operational discipline is critical. That’s why we decided to empower our CFO David King as our new Chief Executive Officer. Transitioning from the CEO position is something I’ve envisioned for some time now, but I wanted to make sure we had the right person for the job. Now, we do. Over the last year and a half, David has proven to be an indispensable leader for the team. Suntech’s total debt has fallen by about $120 million in this time, and we’ve made great progress on aggressive cost targets without sacrificing the product and service quality that distinguishes Suntech. In addition, David is perfectly fluent in English and Chinese, and represents our diverse, multinational executive team and global heritage. I’m not headed off on vacation. I will retain my role as board Executive Chairman and take on the responsibilities of Chief Strategy Officer. This transition will allow me to focus my energy on three areas critical to Suntech’s success: 1) Guiding Suntech’s long-term strategy amidst a crowded industry; 2) Building relationships with customers, partners, and banks; and 3) Commercializing some exciting new technologies. Personally, as a solar scientist, I’m most excited about the technology side of our business. This shift allows me to work more closely with our Chief Technology Officer, Dr. Stuart Wenham, and our R&D team to bring new wafer and cell-level technology advances out of the lab and into the field. I can’t talk too much about these yet, but we’ve made great progress in the last few years -- particularly on the silicon materials side -- and I’m eager to implement more technologies into large-scale production. Suntech’s roots are in innovation, and technology differentiation remains the blueprint for our long-term success. There’s no question it’s a tough time to be a solar manufacturer, but competition is the lifeblood of our industry. We’ve achieved our own version of Moore’s Law in increasing power output and reducing prices with remarkable consistency. When I started Suntech in 2001, the average levelized cost of energy for a solar project in good sunlight was around $0.50 per kilowatt-hour, or higher. Today, new solar power plants are promising clean electricity for less than $0.10 per kilowatt-hour -- that’s without subsidies. In other words, it’s a brilliant time to be a solar customer, and that’s what matters most to our industry’s long-term success. As an industry, we’re at the start of a new chapter. Solar is still the future -- but now it is ready today. This is no fringe industry, as Suntech alone has produced enough solar panels to power Costa Rica or Paraguay. Even the concept of grid parity no longer makes much sense, because in many countries we’re right in the thick of it. We are permanently changing the global energy landscape. To continue our progress, however, we cannot afford to be distracted by international trade disputes. 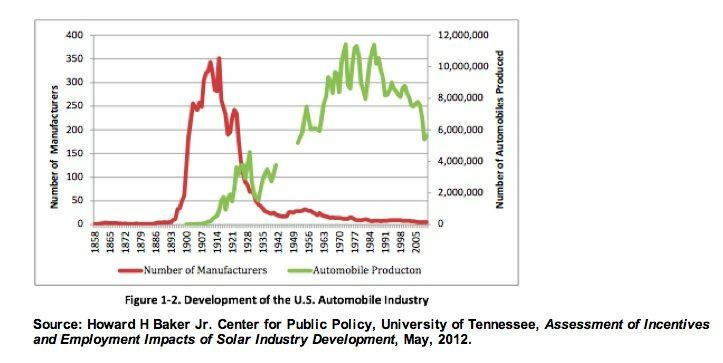 We need to encourage national policymakers to engage in constructive dialogue to avert a solar trade war that would harm the many for the benefit of the few. We have to keep our eyes on the prize of deploying affordable solar energy for everyone, everywhere. 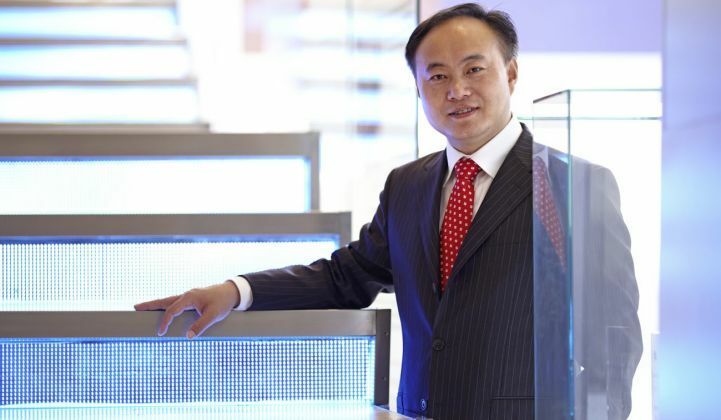 Zhengrong Shi is Founder, Executive Chairman and Chief Strategy Officer of Suntech Power.